Famous Signatures | Historical Autographs | Value Guide | Skinner Inc.
Another slightly different usage of a term in the regular world versus the manuscript world involves the word “manuscript.” Normally, this term generally refers to a document, such as a draft of a novel. However, in the manuscript collecting world, this means a document that was hand-written by someone, possibly an unknown hand. So, here’s where the rubber meets the road: when something is referred to as “autograph letter signed” (often shortened to ALS), it means it was hand-written AND signed by the same figure. If it is called a “manuscript letter signed,” (often shortened to MLS), it means a famous person signed it, but they did NOT write it themselves. If you’re looking at an autograph document signed, it will usually be priced higher than an autograph document, or a manuscript document signed. An example of a George Washington MLS to be sold in the November 13, 2011 Fine Books & Manuscripts auction is pictured here. Here’s another thing to note: you will find autograph documents that are unsigned as well. If you’re buying those, be sure the authenticity is sound. As with many things in life, timing can be an important factor with signed documents. The date a document was signed can greatly affect its value and desirability. Value is at its greatest when a document was signed at the height of a person’s career or notoriety. This is especially evident with presidential letters. A letter signed by a sitting president is always more valuable than one penned earlier in the politician’s life. For example, a document signed by assassinated president James Garfield at the time he held the nation’s highest office is worth about $6,000. That same document penned when he was merely a Congressman from Ohio is worth $400-600. Learning about a signer’s personal history can help you assess the best period pieces to pursue. An interesting read is better than a mundane one – that’s why content is key with signed documents. Letters that reference important historical events are fascinating and provide real insight into the happenings of the day. Controversy, scandal, and open displays of emotion in print remind us that these icons of the past were real people, with all their human frailties intact. These elements increase a documents value significantly. It is best when the content of a document is in the wheelhouse of the person writing it – i.e. Washington writing on the Revolutionary war; Edgar Allen Poe expressing his frustration with his writing career. Additionally, any important figure, corresponding with or referencing another important figure can increase worth. This is known as a “collateral reference,” also sometimes referred to as an “association piece” – i.e. a letter from Abraham Lincoln to Ulysses S. Grant; a letter written by impressionist painter Edouard Manet referencing contemporary writer Marcel Proust. Buy historical signatures that you find interesting – that’s the personal connection that makes collecting signed documents so much fun. Read more advice on this collecting field in Part II: Rarity & Condition in Signed Historical Documents. Thank you for your interest in Skinner. Due to the volume of comments, we are unable to continue to reply individually. This entry was posted in Blog and tagged ALS, autograph letter signed, autograph value, autograph value guide, Books & Manuscripts, Collecting Tips, famous signatures, George Washington, historical autographs, manuscript letter signed, MLS, presidential letters, signed documents, Stuart Whitehurst by Stuart Whitehurst. Bookmark the permalink. 2)book written by and signed by Mitsuo Fuchida who led the attack on Pearl Harbor. any interest value?? friend did her best at translating the note. further steps necessary, on my part, to find out. I have an autograph program from poet Langston Hughes from 1946. also a signature from baseball player Ted Williams, any value? I have an autograph from Dizzy Deen, of baseball fame, that my uncle got during Spring training for the team in Florida. It was among his things I found after he had passed. Is it of any value? Thank you for your comment. Your picture of Billy Eckstine best fits a collectible market, and likely has a value of less than $100. It is not something we would handle at auction. I have a note sent to me in the mid 1970s by designer Bill Blass. I was working as a reporter and did a profile piece on him. He sent me the note to thank me for the story I wrote. It is on his own stationery — a single panel note card with his name embossed at the top. Is this something that would be of interest at auction? Thank you for your comment. Your note from Bill Blass would best fit a collectible market, and likely has a value of less than $100. It is not something we would handle at auction. I have a letter written and signed by Benito Mussolini on his own stationery, dated 1921 that I found in one of my late grandfather’s books. Would this be of any value since it was written before he was actually Prime Minister? Thank you for your comment. The Mussolini letter would be worth about $200 at auction. I was thinking of purchasing a pair of concert used drum sticks signed by the entire band called Staind. Although it is not exactly historical, yet, I just wondered what you think they might be worth, if you can even determine that for me…? The rock bank Staind has its roots here in Massachusetts. We don’t offer (yet) at auction items from this vintage and I would suggest checking online only auctions. A hint, look for comparable results from completed sales to help guide your purchase. Good luck! When I was a child, Al Gore and Rick Lehman were in my city visiting, and I got them to sign a dollar bill I had in my pocket since I had no paper with me for them. I still have the dollar to this day. It was a very long time ago …atleast 20 years or more ago… I was wondering what the possible worth of an Al Gore signature runs and maybe even the Rick Lehman signature. I forgot I even had this dollar bill and ran across it tonight. I have a signed “revised first edition” copy of Woodrow Wilson’s “The State” signed 31, October 1900, Princeton NJ. Any first impressions on value? Thank you for your comment. I’ll be in touch over email. Winston Smith, did you ever get an estimate on your copy of The State, signed by Woodrow Wilson? I would be grateful to know. You can write me at: bertloan@gmail.com Thanks. Trying to determine value of postcard signed by Harry S Truman and Thomas Hart Benton. Card is a photo of the T.H. Benton mural in Independence Mo. And has a first edition commemorative stamp of Thomas Hart Benton. The stamp mark on the card is dated 8May 1971, Independence Mo. –the mark does not cover up any of the stamp. I have a land grant document dated 1788, probably written by and definitely signed by Samuel Johnston (first man ever elected as President of the United States…..he declined the office). The document has affixed to it a heavy parchment seal and survey map of the land, by means of a ribbon running through both documents…..any idea of value? Thank you for your comment. I’ll be in touch over email to discuss your document. Thanks for your comment. This is not something we would handle at auction, and likely has a value of less than $100. Hello. I have an autograph from Pele, which he signed with his real name, “Edison,” and “Pele.” On the same paper, I have an autograph from Italian soccer star Giorgio Chinaglia. I also have a vinyl LP signed by Luciano Pavoratti in 1976. Are those of interest? Thank you. Paul, Thanks for your comment. Your Pele autograph likely has a value of less than $100. It is not something we would handle at auction. In 1938 My omar worked in a radio station and was a friend of Lionel Barrymore. At Christmas he and Everett Shinn gave her a sined Red Book ‘A Christmas Carol” published by the garden city pub. co NY .with illustrations by everett shinn ,introduction by lionel barrymore. Is this book of any value as it also is in fine condition. I dont know who to really ask. I have a book called Taps For Private Tussie” It is illustrated by Thomas Hart Benton and autographed by him. Is it worth anything? Hi Paula, This book is likely worth less than $100 and is not something we would offer at auction. I have a note written by Christine Keeler to Michael Lambton in the 1970’s. It was given to my husband (then head barman at the Lancaster hotel) to give to Mr Lambton but he never came in. I am just wondering if it would be of any value to. Hi Kathleen, This note is not of high value and is not something we would offer at auction. I have a copy of the prayers offered by Rev Peter Marshall when he served as the US Senate Chaplain from 1947-1949. This is an offcial document from the 81st Congress 1st Session. It is identified as Senate Document 86. The volume is stamped “From the Office of Olin D Johnston U.S. Senator”. Then, underneath that, there is a hand written note and signature which says “To Rev W.P. Hall, Sr with Best Wishes Olin D. Johnston”. I’m just curious as to what a value may be on this items. Keith – Thank you for the comment. This document is not of high value and is not something we would offer at auction. Hello I have an autograph of Vice President Hubert h Humphrey and would like to know how much is it worth? I also have a picture autograph of Joseph t Robinson an would like to know the value of that also . A Hubert Humphrey signature is worth about $150. Joseph T. Robinson has no real commercial value. Thanks for your prompt response in the value of my signatures. I also was wondering who/where can I sale this item? There are a number of autograph dealers who specialize in presidential material. I would search for someone who seems to do a lot of business, belongs to a professional organization, and/or is close enough to meet with in person. I was in the movie “Falcon and the Snowman”, with Sean Penn and Timothy Hutton. They both(signed) autographed my pocket-sized phonebook in, (I believe) 1983-84? Is this of any value? Thank-you, G.J.T. There may be some nominal value for the signatures of living Hollywood actors, but this falls under the category of collectibles, and when it comes to signatures, we sell historical documents in different fields in our rare book sales. Sometimes we sell signed photographs of nineteenth century actors, vaudevillians, or actors from the early talkies, but that’s about as far as we go back in the history of the entertainment business. You may find a specialist in celebrity autographs who can help you. Hello, my husband bought a box of books at a yard sale ,we later found what appears to a an old autograph book ,with signatures from 1870. from the DC area mostly goverment officials Taft,Sherman,Walt Whitman 1870 ,R B Hayes are just several of the signatures , Do you know where we can take them to be evaluated ? Thank You for any info . I have picture taken at funeral of Sam Rayburn and it is signed by Herbert Hoover, Harry S. Truman and Dwight Eisenhower. What would this be worth? Thank you. I have a letter which stars as follows:- This letter should be regarded as a collector’s item because it was posted on board the Pacific Princess during the course pof Cruise No 4633 and went ashore from the ship in an unusual manner at Niuafo’Island on 17th October 1980. Then the letter proceeds to give details of why it was unusual. Would this be of any value? Thanks for the comment. The value of this letter is likely less than $100, and it is not something we would handle at auction. I have a childrens book and cassete tape autographed by Ray Charles. The box set is Chica chica boom boom. Any ideas? Ray Charles is too modern to make it into the rare book auction market at this point in history, but it’s probably a good idea to hang on to these things for the future. I have a picture of Sophia Loren which is signed by her, also Kirk Douglas picture signed by him and Mitzi Gaynor picture which is signed by h er. What would this be worth? Show business autographs are generally handled by autograph dealers and sold through the collectibles market. The signed material we sell at Skinner rare book auctions tends to be historic (i.e., older), even when it comes to actors and performers. We sometimes sell signed cartes de visite of 19th century actors, vaudevillians, and performers from the silent screen and early talkies, but we do less with modern stage and screen performers. Sometimes our Discovery sales feature collectibles like yours, but usually in bulk. You can get in touch with the Discovery department at 508-970-3202 to find more out about your collectibles. I have a letter from Dolley Madison to her cousin through her mother’s family (Coles), from whom I am descended. 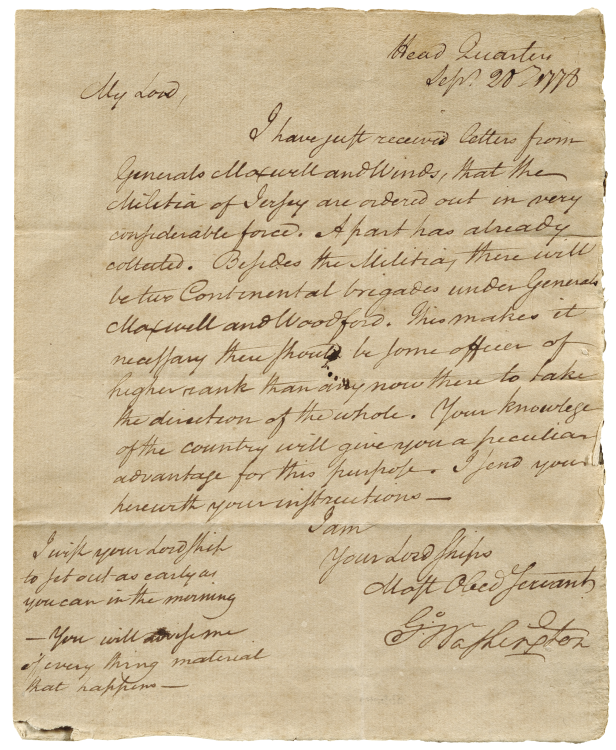 It is undated but from the references contained therein, it was clearly written during her marriage to James Madison, as she refers to him in the letter. It is not a political letter, the subject was to thank a family member for a loan made to her brother and sending family regards, remembering the close relationships with various relatives, etc.. The condition seems to be quite good. No intention to sell the letter, but have been curious as to the possible value. I have a paper napkin with William Falkner’s signature on it. This was received from him at our HS graduation party at his home. His daughter Jill was my friend and classmate, and many good memories were made at their home with the family. I have a postmarked envelope that contained a letter from convicted serial killer David Gore. He hand wrote his name and return address as well as the recipients information. Is something like this worth anything? If so, who or what organization would I need to contact to sell it? This envelope is likely not of high value and is not something we would offer at auction. I have an autographed New Testament which was dedicated to my great Uncle by Cleveland Cady of Alpine NJ. I know that Mr. Cady was an architect that designed several famous NY buildings. Any idea how much this is worth and how to sell it. The bible dedicated to Uncle Cady would be interesting for family reasons only, with no real commercial potential. Misty, this book is not of high value and is not something we would offer at auction. I have a few items one being a signed copy of Eddy Arnolds song book signed by him, Duke of Paducah,Annie Lou, Danny Dill, Oklahoma Wranglers, Skeeter Willis, ????? Willis, and Roy Wiggin. I have U.S. Army letters from 1919 from france, some letters from before and from WWII. I have no idea what to do with these items can you help me out please? The Eddy Arnold and other signatures are more of a collectible, and likely not of high value. Army letters from WWI are not very valuable unless written by and about significant people or events. Contact our Militaria department at militaria@skinnerinc.com for more information. I have Fidel Castro signed photo, year maybe 1970 or so, what is it worth? Also have Harold Wilson, Edward Kennedy and 50+ more signed photos. Where should i sell that kind of collection? Thank you for your comment. I’ll be in touch over email to discuss this Fidel Castro signed photo. I have a lithograph of the mural painted by Thomas Hart Benton at the Truman Library which measures 17×10.5 inches. It was printed in 1961 for President Truman’s 77th birthday. It is signed by both Truman and Benton for Truman’s nephew. I also have the addressed envelope to his nephew as well as the invitation. I was wanting to know what it’s value. We have a diploma signed by Father Nelson Baker, dated 1906. Is there a way to determine its value? Bridget, This diploma is not of high value and is not something we would offer at auction. I have a signed photograph of Arturo Toscanini as well as his baton. I also have a signed photograph of Rachmaninov. I have a handwritten letter signed by Harry Truman. And tens of other signed photographs of musicians conductors actors etc. how might I find out the value of these items. I have an autograph book that my great uncle left to me. He was a bellhop at one the most prestigious hotels in Hollywood in the heyday. It is signed by famous people like Judy Garland, Bob Hope, Bing Crosby and many, many others. Would it have any value? I have a change of residence agreement signed by Giuseppe Verdi, in Paris September 17, 1862. He also wrote something about St. Petersberg on top. Would you have an idea what this would be worth? I also have a signed photo of/ by Giuseppe Mazzini and some medals. Many years ago I purchased sack of old family papers. Among them is a small note to a Captain French disqualifying a Rupert Sayles from military service because he needs to wear a truss. The signature appears to be Wm Shirley. The signature is complete, but part of the date is missing. If this is an authentic signature of Governor William Shirley, would it be of any value? I have two signed, handwritten letters as follows: Adlai S. Stevenson and Harry S. Truman. Would there by any value to these documents? In addition, I have three typed and hand signed documents as follows: Albert Einstein (2), and Eleanor Roosevelt. Please advise as to whether these would have any value as well. I have a “salute to the president” brochure dated october 7, 1976 signed by nelson Rockefeller and Bob Dole. It was from a dinner for president ford. Governor reagan was also there. I think it was in chicago since other politicans form Il were listed. It is in great shape . is there an interest in this ? We have a movie poster from Nobody’s Fool starring Paul Newman, that has what appears to be Paul Newman’s autograph. How can we get it authenticated? I know Mr. Newman usually didn’t sin items, but we got this at a auction in 1995 for a group we belong to and the poster was donated by a Vice President of Blockbuster. Thank you. Dear Judy, Thank you for your comment. Your poster is not something we would handle at auction. I have THE GETTYSBURG ADDRESS document signed by Abraham Lincoln and I would like to find the value of the same. Its look like original hand written and signed document. I can send the picture of the same upon your reply. Dear M. Haq, Thank you for your comment. This is a reproduction and is not of high value. I have a hard cover book called the White House. Printed by my husbands grandfather Henry Laupp who was director of production for Judd & Detweiler in 1962. It is signed by Jacklyn Kennedy addressed to him. The book is in very good condition. What would this be valued at? I have many autographs of famous people, bob hope, charles schulz, etc. I am interested in having them marketed. Please let me know what your interest is. If you are interested in consigning to a Skinner auction, please contact us through our auction evaluation form. I have a handwritten letter from Charles F. Haanel on his stationery, dated May 7, 1940. Canyou tell me it’s worth? 1) NASA document (letter of appreciation) from October 11, 1969 signed by Appolo 11 Crew, Neil A. Armstrong, Michael Collins, Buzz Aldrin. 2) Vice President Hubert H. Humphrey signed letter of appreciation, date January 30, 1969. Wondering would there be any interest in it or value? Thank you for your inquiry. Please use our auction evaluation form to send images for evaluation: https://www.skinnerinc.com/selling/sell-at-auction. I have a page from a book with a portrait of John Winthrop with what I believe to be his original signature. What is the value of this, and how can I get it authenticated? I have an original photo of Pres. Woodrow Wilson at his desk. How much would it be worth? Thank you for your interest. I will forward your inquiry to our Fine Photography Specialist. In the meantime, please use our auction evaluation form to send images for evaluation: https://www.skinnerinc.com/selling/sell-at-auction. I have an invitation card signed by Mary Pickford that my 98 year old neighbor gave to me, dated 10/9/1942. I would like to know if there is any value and if so, where may I dispose of it. Thank you for your interest. I will forward your inquiry to our Director of Books & Manuscripts. In the meantime, please use our auction evaluation form to send images for evaluation: https://www.skinnerinc.com/selling/sell-at-auction. I have authentic signatures from Johnny Cash, June Carter, Jimmy West, Skeeter Davis and Bill Anderson from 49 years ago and would like to inquire as to the value of these signatures and who I could contact should I decide to sell. I have sign in pages from the doctors’ office where I worked with Paul Mellon’s signature when he had a doctor’s appointment. They had been discarded in the trash and I retrieved them. Do they have any value? I have a signed photo of Melvyn Douglas and was wondering if it would be worth anything. I also have photos of other actors like Ginger Rogers, Richard Todd, Donna Reed, Rex Allen, Cary Grant and more. Are they worth anything. Thank you for your interest. Please use our auction evaluation form to send images for evaluation: https://www.skinnerinc.com/selling/sell-at-auction. I have menu (Whistle Stop) signed by Harry S Truman. Is it worth anything? I have a letter to my grandfather signed by John F. Kennedy from September 1960, prior to his presidency, regarding agriculture reform for farmers. Is it of any value? Hi Sharlene, Skinner’s Appraisal Department would be more than happy to assist you in finding out more about your letter. Please submit photos and an auction evaluation form via our website: https://www.skinnerinc.com/selling/auction-evaluation-form/ or contact the Appraisal Department directly at 508-970-3299 or appraisals@skinnerinc.com. Thank you! I am in possession of 3 souvenir programs from 1948 which took place at the Barbecue on Westover Road in Bournemouth, England. They are all signed by the performers on the back. Inside contains the menu/prices. Is there any value in them? Football Superbowl Champions(and my former students)- Ricky Proehl (receiver for champion Rams and Shaun O’Hara (center and lineman for Giants). Hi Barbara-Jo, Skinner’s Appraisal Department would be more than happy to assist you in finding out more about your documents, please submit photos and an auction evaluation form via our website: https://www.skinnerinc.com/selling/auction-evaluation-form/ or contact the Appraisal Department directly at 508-970-3299 or appraisals@skinnerinc.com. Thank you! I have an little boy’s t shirt that was signed by Easy E. founder of NWA Rap group. how do you thank it is worth. Hi Susan, Skinner’s Appraisal Department would be more than happy to assist you in finding out more about your scarf, please submit photos and an auction evaluation form via our website: https://www.skinnerinc.com/selling/auction-evaluation-form/ or contact the Appraisal Department directly at 508-970-3299 or appraisals@skinnerinc.com. Thank you! I have an original letter from the 1950s on White House letterhead from Mamie Eisenhower and am wondering if there is any value attached to it. Thanks. Hi Janet, Skinner’s Appraisal Department would be more than happy to assist you in finding out more about your letter. Please submit photos and an auction evaluation form via our website: https://www.skinnerinc.com/selling/auction-evaluation-form/ or contact the Appraisal Department directly at 508-970-3299 or appraisals@skinnerinc.com. Thank you! Im wondering if there is a value to this interesating piece of history!! Hi Theresa, Skinner’s Appraisal Department would be more than happy to assist you in finding out more about your photograph and signature. Please submit photos and an auction evaluation form via our website: https://www.skinnerinc.com/selling/auction-evaluation-form/ or contact the Appraisal Department directly at 508-970-3299 or appraisals@skinnerinc.com. Thank you! Hello Tim, Skinner’s Appraisal Department would be more than happy to assist you in finding out more about the value of your Rockefeller letter and signature. Please submit photos and an auction evaluation form via our website: https://www.skinnerinc.com/selling/auction-evaluation-form/ or contact the Appraisal Department directly at 508-970-3299 or appraisals@skinnerinc.com. Thank you! Hi, I have a Herman Munster sketch, drawn and signed by Fred Gwynne in 1971. My father got it when he met him in NYC.I’m not sure of the value or the demand for it. Could you possibly tell me? Hi ROn, Our appraisals department would be happy to assist you in finding out more about your sketch. Please submit photos and an auction evaluation form via our website: https://www.skinnerinc.com/selling/auction-evaluation-form/ or contact the Appraisal Department directly at 508-970-3299 or appraisals@skinnerinc.com. Thank you! I have a letter with it’s mailing envelope typed and signed by Huey P Long prior to his becoming governor, he is advising the honorable Isaac Andrews of Chatham, La. about his campaign for governor and asking for his support. I received two letters (notes) from Robert Nathan, author of many books, including Portrait of Jennie and The Bishop’s Wife, which were made into movies. The notes were sent to me close to the end of his life and one contains a small poem written with specific references to me and my two pet rabbits at the time. Would these have any value beyond my personally sentimental ones? I have a signed copy of Lowell Thomas Back to Mandalay with dust !st ed 1951 Very good?excellent? condition. Few small tears on dust jacket. Also a short letter to Hal concerning a explorers club meeting. Value? would like to sell.